oh ? there is a draft happening? Is it just me or is the draft like Christmas for older people? So much anticipation, cannot wait to unwrap the box and play with a shiny new toy! 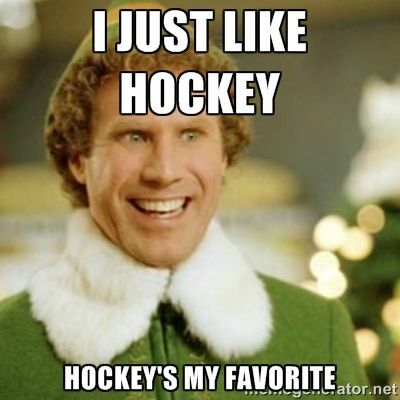 There are 3 hockey events all year that I look forward to. The World Juniors, Trade deadline, and most importantly the Draft. I want the oilers pick. In my eyes, the top 10 guys in this draft are all good bets to be strong NHL players. They need defensive defensmen. Tanev for the 10th pick. Take whoever falls to 10 and walk out with 2 guys. You guys ready today or what? This is where we clean up today, boys. This is where you gotta be on your toes. Speed and skill. Remember, speed and skill. Please take Dobson or Bouchard please take Dobson or Bouchard please take Dobson or Bouchard. Finally, hockey's last gasp before UFA and the dog days of summer. Gonna be an interesting couple days. Yesterday, Benning said that for D, skating is so important. Of the 4 D available, Hughes is the best skater, Boqvist is next. Dobson does everything well . Boqvist is flying under the radar. Rated 4.5/5 on skating, 5/5 on IQ, 5/5 on skills, 3.5/5 on competitiveness and 3/5 on D by Button. He's a dynamic D with a great shot and is a RHD (as opposed to Hughes). Having said that, there are great arguments for all 4 and any of them would fit the bill imo. I'm just saying don't be surprised if Benning takes Boqvist. Hadn't heard him say that before, but it only confirms what I've suspected -- they won't be drafting Bouchard, and certainly not ahead of the other dmen. I still figure Dobson is their #1 choice as he ticks the most boxes, but not sure between Hughes and Boqvist who'd be next. It may come down to the combine interviews so they get the right fit, or they may even have only 1 or 2 of the dmen ahead of the available forwards so if both are gone we could well see a Tkachuk or Wahlstrom taken. Hard to not like any of the players that will be available at 7. I think Dobson would be the top D choice of JB if he had the luxury of choosing from the group.